In the spring of 2018, we suddenly found ourselves having to leave our cozy studio in downtown Algonquin. 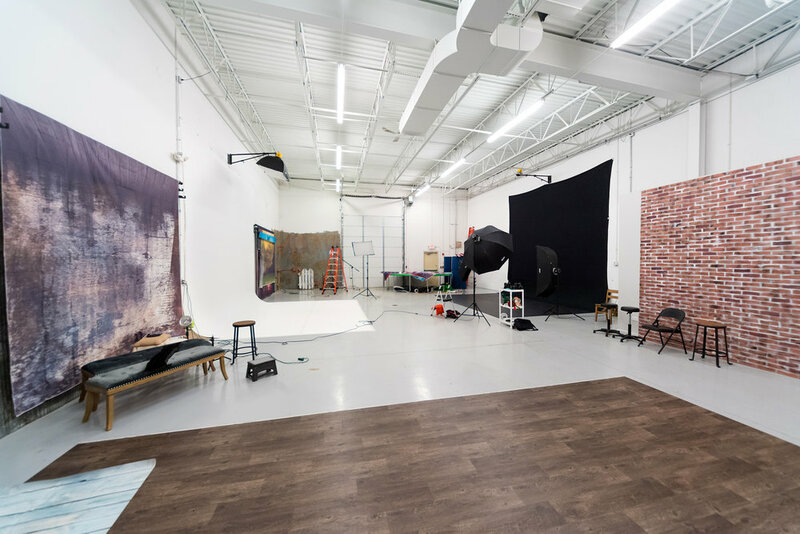 At first, we were miserable over the thought of having to leave our business home, but we soon realized we had an amazing opportunity to create our dream photo studio. After a few months of searching, we found our ideal new spacious 3,250-sq foot studio in Crystal Lake. 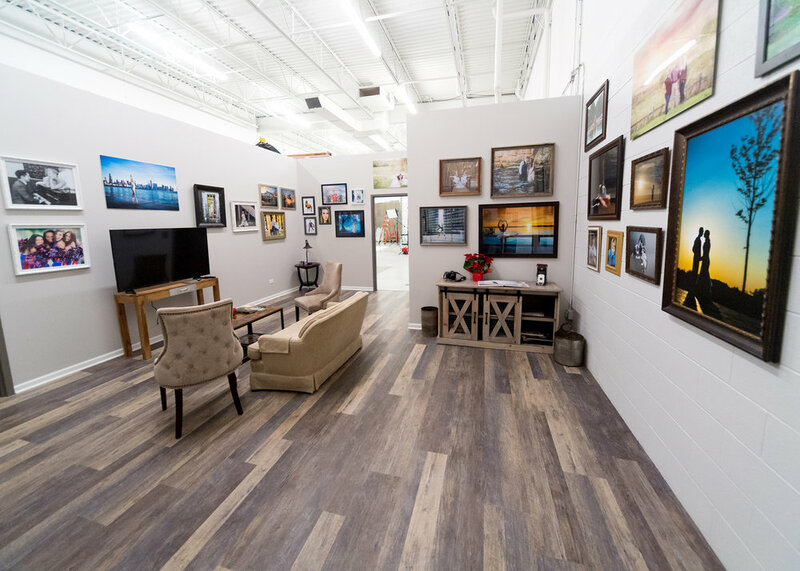 We’ve spent the last 8 months hanging backdrops, creating custom features, hunting through antique stores and barn sales for great pieces and creating a space where Ron can create beautiful photos for seniors, dancers, and families. Our studio isn’t done and we doubt it ever will be. Instead, we’ll be continuing to bring in new ideas to make great opportunities for the people who come to us for their portraits. We can accommodate groups of up to 45 people or more in one image. We have a space in the front to review your images when you come in for a viewing session. The photography studio has a number o different backdrops for our clients to choose from. Our reclaimed wood backdrop is the most popular right now. Clients also like the faux brick wall, the industrial corrugated metal wall, and we have two permanent Marley dance floors set up, one in white and one in black. 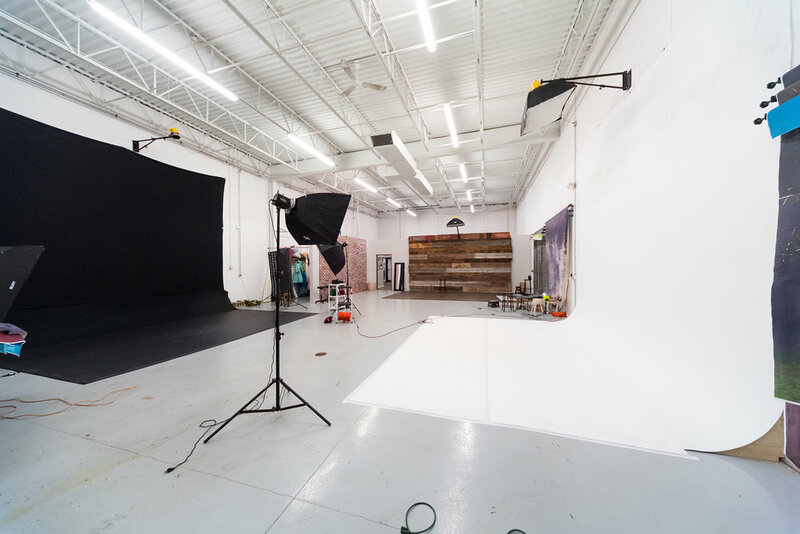 We have 10-foot-wide backdrops that clients can choose to use as well. Ron is an active part of the local community of photographers. This year he is is leading workshops at Out of Chicago’s Spring Conference this April and at ClickCon Chicago in August. Ron’s passion for photography makes his workshops dynamic and fun. He offers small classes and model shoots as well as consulting and individual coaching to beginner photographers and professionals growing their own businesses. We are excited to be partnering with Gipper Prom and Mario Tricoci in Crystal Lake. Gipper Prom is a leading formalwear store in the Chicago area. We love their selection of modern dresses. Every fall, Gipper shares their dresses with our senior ambassadors for a fun fashion portrait session. You can see images from last years session below. The stylists at Mario Tricoci have been styling our seniors for years. The provide both hair and make up for our ambassadors. Many choose to use their services for the fall fashion session and others use their stylists for their concept shots. We didn’t want our studio to be like any other place. We’ve infused it with a variety of modern, classic and beautiful looks. It’s made for dancers with our Marley floors and trampolines; it’s made for families - we have with benches, chairs and modern backdrops.